It’s been 7 months since Kevin Spacey was fired from House of Cards and 8 Months since Netflix announced that the 6th season of the show would be it’s final season. On Monday Morning, Robin Wright appeared on the Today Show to discuss the final season. In her appearance, Wright spoke about Kevin Spacey’s dismissal from the show. Spacey is currently being investigated for sexual assault in London, according to the LA Times. 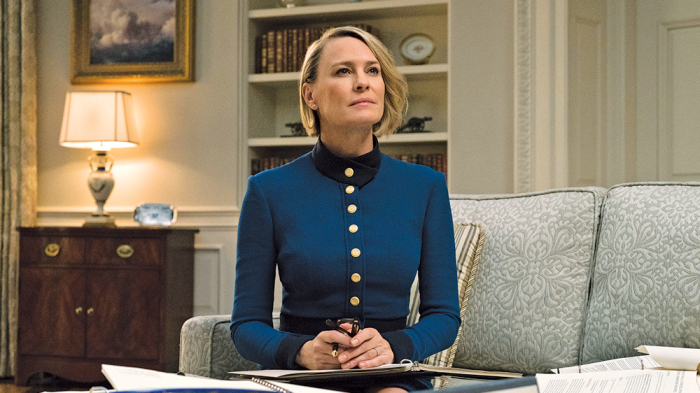 Will you be tuning into the final season of House of Cards without Spacey? Watch Robin Wright on Today.